A Chinese language version of the 3rd edition of The Six Disciplines of Breakthrough Learning was launched today in China at a forum sponsored by the Publishing House of the Electronics Industry, a leading business publisher in China. 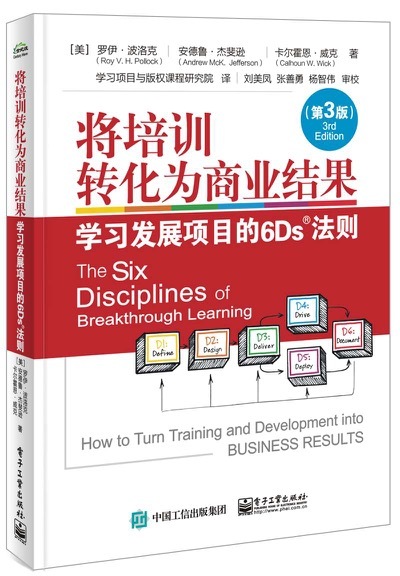 Dr. Roy Pollock, Chief Learning Officer of The 6Ds Company and co-author of the Six Disciplines, was in China for the book launch and also to certified three approved partners to conduct 6Ds Workshops in China. “I am delighted that the most recent edition of the Six Disciplines book and 6Ds Workshops are now available throughout China,” said Dr. Pollock.